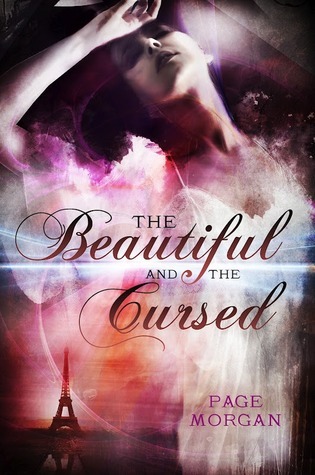 Goodreads says, "Fans of Cassandra Clare's Mortal Instruments series and Libba Bray's Gemma Doyle trilogy will devour The Beautiful and the Cursed, a wholly original interpretation of gargoyle lore. It was bizarre and inexplicable, but after it happened no one spoke of it and Ingrid Waverly was forced to leave her life in London behind. She had to trade a world full of fancy dresses and society events for Paris with her mother and younger sister, Gabby. In Paris there are no grand balls or glittering parties, and, disturbingly, the house her twin brother Grayson found for them isn't a house at all. It's an abbey. A creepy, old abbey with a roof lined in stone gargoyles that one could almost mistake for living, breathing creatures. And Grayson is missing. Yet no one seems to be concerned about Grayson's whereabouts save for Luc, a devastatingly handsome servant who has some secrets of his own. There's one secret about the city that he can't keep hidden, though. There's a murderer on the loose. And every day Grayson is missing means that there's less of a chance he's alive. Ingrid is sure her twin isn't dead--she can feel it deep in her soul--but she knows he's in grave danger, and that it's up to her and Gabby to find him before all hope is lost. Only the path to him is twisted—and more deadly than she could ever imagine." *The cover is what first attracted me to this book and then I read the premise and was even more interested. I love books that take place in Paris; plus, they say that if you love Mortal Instruments and the Gemma Doyle series, you are bound to enjoy The Beautiful and the Cursed. Sign me up! What do you guys think? Well I hadn't heard of this book before but it sounds really good. Gargoyles and a murderer on the loose? I'm adding it to my TBR list! I love the cover of this book, and it does sound awesome. Adding it to my TBR list. Thanks for sharing! I really love the cover for this book. It's so gorgeous. Honestly, that alone was enough to get me to pick up this book but the summary makes me even more excited. Great WoW pick! I adore this dramatic cover. You never hear about them. Oh that cover! I love it but I'm not sure about the story. I'll wait and read some reviews first.. Nice pick though. I hope you enjoy it when in comes out. I want this book so badly. It sounds incredible! And I adore the cover!